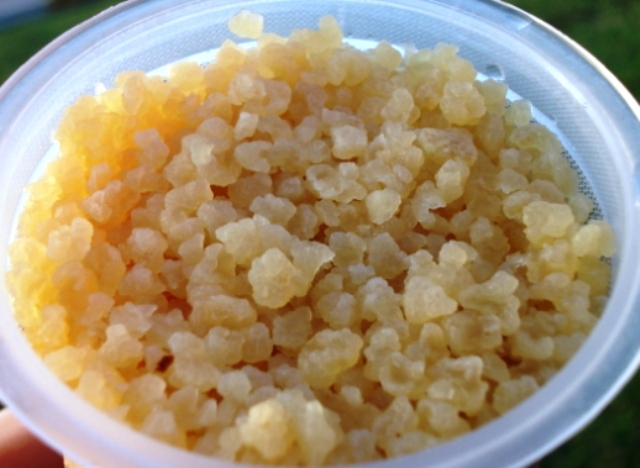 Water Kefir Culture Grains can make homemade Kefir Drinks for the whole family, Your Water Kefir Grains or Kefir Culture is a living culture and will last you a lifetime. If you feed it regularly and take care of your culture which is easy and does not take up your time at all. All cultures come with recipe and instructions it also have a full free Pdf. Book on the website that you may download at any time. The full book has amazing recipes to make the most amazing drinks and baking and to never have a dull moment with your new kefir family member in the house. Enjoy the natural strongest probiotic on the planet. I am very excited to tell you about a beverage that I have been making for our family for a couple of months now. 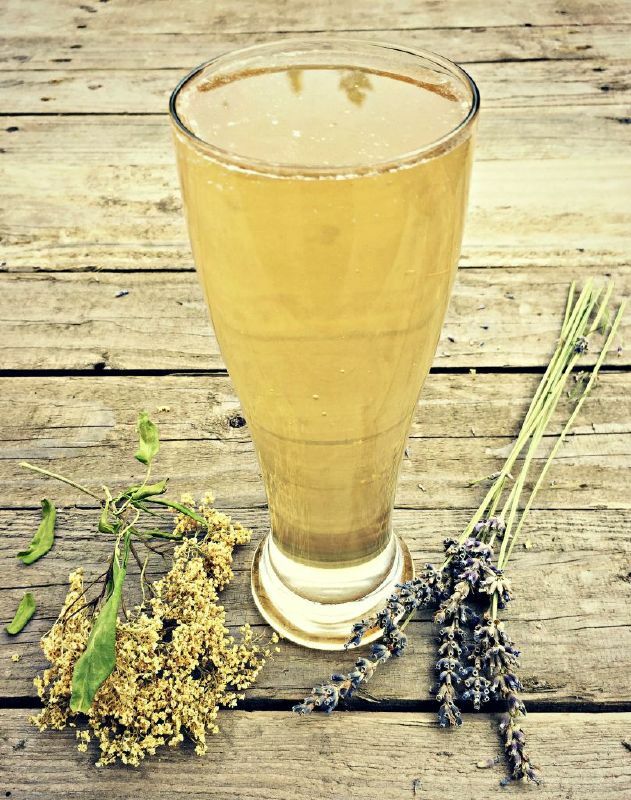 It’s called water kefir.The best way to describe it is flavored soda minus all the processed sugar, artificial colors, flavors and preservatives.Water kefir is nature’s way of making soda and by far, one of the healthiest and easiest to make at home. The health benefits of consuming water kefir are endless. 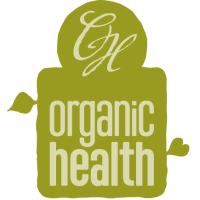 They are a natural supplier of probiotics to our digestive tract. Probiotics refers to the healthy bacteria that usually feeds on the “bad” unhealthy bacteria in our stomach and intestines. Bacterial overgrowth can lead to many illnesses some of which include fungi, yeast infections, indigestion, obesity, Irritable Bowel Syndrome, Crohn’s Disease, skin disorders, etc. By drinking water kefir you will bring balance to your internal microflora. Many people take a probiotic supplement daily for this particular reason but I prefer to drink the water kefir. It’s much tastier and more affordable in the long run. Another health advantage of water kefir is that people who do not wish to consume dairy or have a vegan type diet may find that water kefir provides the living probiotics without the need for dairy or tea cultured products, like kombucha.Vegans also may like to know that through the fermentation process kefir becomes an excellent source of vitamin B12, and is high in vitamins B1 and B6. Diabetics, in particular, could greatly benefit from drinking kefir. Since the finished product, if bottled, will produce a carbonated beverage, it provides an alternative to sweet soda drinks. In that sense, anyone from children to adults can enjoy water kefir guilt-free. 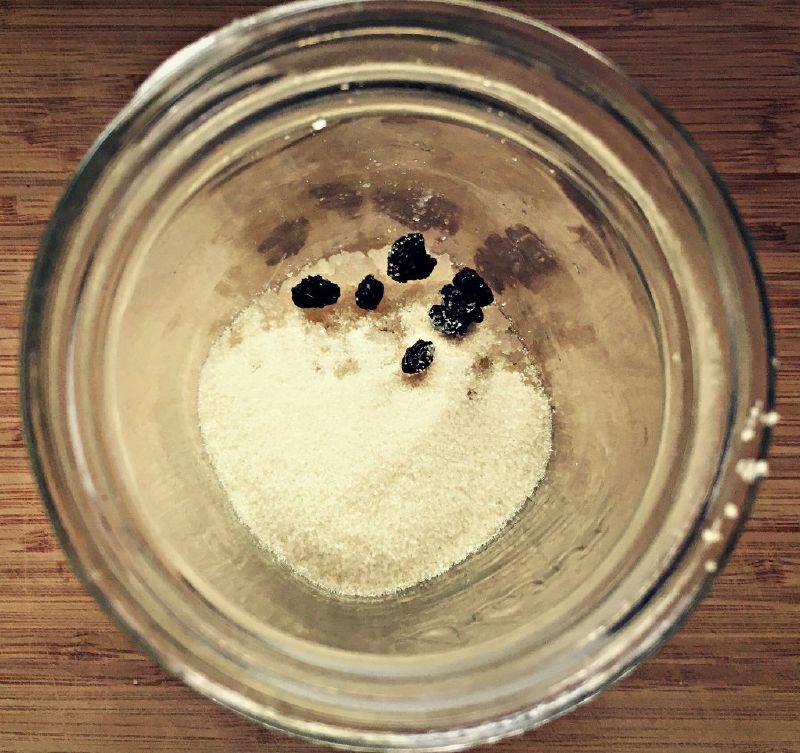 What can Probiotic Yummy's can i Make with Water Kefir ? 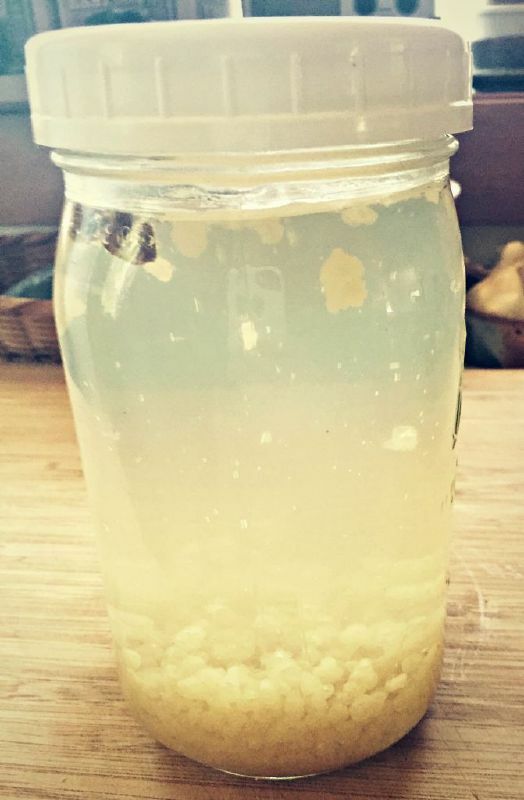 Making water kefir is super easy and fun. To help illustrate the process I have created two video tutorials – one on how to make the basic water kefir recipe, and the other on how to make flavored water kefir. You can watch them below. Notes 1: it’s very important that you NEVER use any metal utensils or tools when handling living cultures such as kefir grains. They don’t like metal and may be adversely affected if exposed to it. Notes 2: never use tap water because it contains chemicals such as chlorine and fluoride. They will kill the grains. Make sure the dried fruit doesn’t have any sulfur dioxide added to it. Many conventional brands add this chemical to keep the dried fruit looking bright and fresh. After all the ingredients are in the jar, you need to cover the top of the jar with a cloth, paper towel or parchment paper held by elastic. This is so your kefir grains can breathe and to make sure nothing can contaminate them. Putting a tight lid could cause the jar to explode due to the natural carbonation process taking place. Place the water kefir jar on your counter away from direct sunlight. The kefir water should be ready in 24-48 hours. The kefir will be mild and sweet at 24 hours, and more zesty and acidic at 48 hours. This is really a matter of personal preference and either way is tasty and has health benefits. Temperature can speed this process up the warmer it is inside your house. If it tastes like there is too much alcohol for you try reducing the amount of sugar and fruit or reduce the amount of grains. You will soon find what you like after a couple taste tests. After the initial batch of plain water kefir has fermented, drain the kefir water and set the grains aside for a new batch. Take the fermented kefir water and pour into a large glass pitcher or a couple small pitchers, pending how many flavors you’d like to make. To each pitcher/jar add 1/4 cup of fruit juice or fresh fruit of your choice. If you are making Strawberry Lemonade (as I have made in my video tutorial) make sure to puree the strawberries first. It will give your kefir much richer taste. Let the kefir ferment for another 24 hours. This time you can put a tight lid especially if you prefer more fizz to your beverage. In 24 hours you will notice color change in your kefir as the flavor of the fruit/juice is metabolized by the kefir grains. Taste your kefir to see if it’s ready. If it’s not sweet enough, just add a tablespoon of sugar. Take your final water kefir, pour over ice and enjoy! 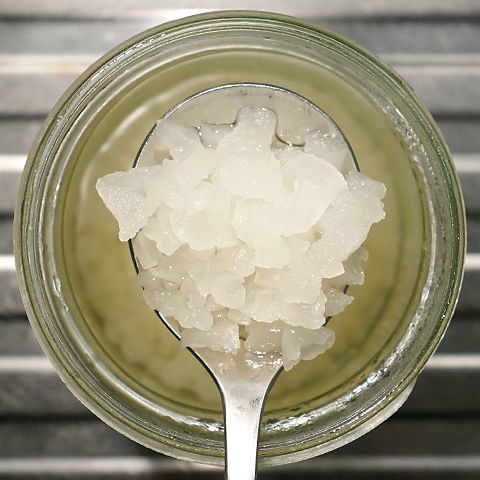 Water kefir grains are sometimes called tibicos, tibi, or Japanese water crystals. Kefir grain cultures may vary in numbers and types of microbes. Typically Water Kefir grains have a mixture of healthy (friendly) strains such as :Lactobacillus brevis, Lactobacillus casei rhamnosus , Lactobacillus alactosus, Lactobacillus casei casei, Lactobacillus pseudoplantarum, Lactobacillus plantarum, Streptococcus lactis, Streptococcus cremeris, Leuconostoc mesenteroide, Saccharomyces florentinus, Saccharomyces pretoriensis, Kloeckera apiculata, Candida lambica, Candida valida and possibly others. Lactobacillus brevis has been identified as the species responsible for the production of the polysaccharide matrix that forms the grains.